This report shows the percentage cost to protect downside risk selected market categories or a specific equity for the next 30 days. Put options are a convenient way for investors to protect against investment losses in the event that an existing held equity position may be exhibiting increased volatility or risk of downward movement. Unlike setting a Stop Loss order on the equity, the purchase of a put option allows the equity price to move below a certain strike price without inducing the sale of the equity itself. This allows the investor to protect against a further loss and still maintain the originally purchased equity position. The Put Protection table displays Current Cost of purchasing a put on the underlying security expressed as a percentage of the security’s current price (15-minute delay). 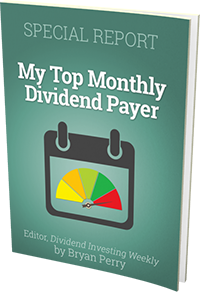 Put premiums for each security are calculated as a weighted average of the closest ATM option prices with a moving 30-day expiration maturity. The table also compares the Current Cost to the 52-week High, Low, median and previous day's costs for comparison. Search for specific equities by symbol in the search box. Click on the icons in the Symbols column to view more information on the specific stock. To learn more about Put Protection, click here.